By far the most commonly considered method for bird prevention. Netting creates a physical barrier preventing access and activity. 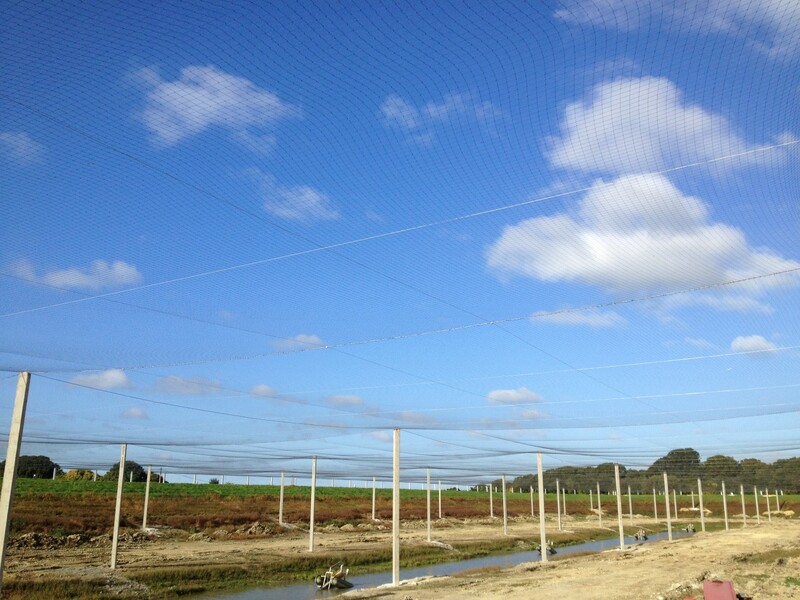 Over small and large areas our netting will prevent all nesting and roosting activities created by the pest species. We advise you on design, position and type of nettings to be used. We install all gauges in all colours and formats, ensuring this is the right solution for our client. Our netting systems are designed to stay in keeping with the surroundings and provide a discrete and effective solution. Remember, anyone can put up a net. To install a net that will last, be effective and discrete is a skill. Every site is different and years of experience have proved how important an effective netting system is. We have installed netting which is a few square meters to 98,000Sq/m. Used to cover faces of buildings to large open lakes, our experienced technicians can install in virtually any scenario. We have used netting in many different innovative ways, including bird protection. One installation was to protect debris falling into a Penguin enclosure. See our gallery for more information.